THE Sunshine Coast P-plater who killed a pedestrian while looking at Google maps will not have to spend any time behind bars despite the state's highest court finding her sentence was "impermissibly lenient". 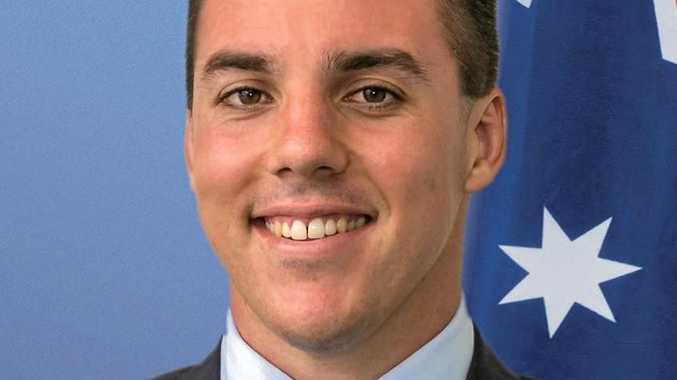 Attorney-General Jarrod Bleijie had appealed the wholly suspended 2.5-year sentence handed down to Meghan Catherine Elizabeth Hopper in the Queensland Court of Appeal. He argued the fact the teen did not serve any jail time made the sentence manifestly inadequate and not in line with community expectations. But the state's highest court, in a decision handed down on Friday morning, dismissed the appeal. Though the three justices each agreed the sentence was manifestly inadequate, two exercised their discretion not to interfere based on Hopper's rehabilitation attempts and psychologist visits since sentence. Justice Hugh Fraser said the sentence was "impermissibly lenient" after weighing up the case. "...for driving this dangerously with consequences as serious as death of one person and grievous bodily harm of another, the absence of any period of actual custody rendered the sentence manifestly inadequate," he said. But Justice Fraser said new evidence showed Hopper had benefited from not having a custodial sentence. He said correcting the sentence with actual custody could not justify the resulting interruption to rehabilitation. "This is an appropriate case in which to exercise the residual discretion to decline to intervene," he said. Justice Philip Morrison said he would have granted the appeal and ordered Hopper to serve five months behind bars. He said Hopper's actions had a catastrophic impact on the victims. "The need for general deterrence looms large in my opinion, given the very serious nature of the offending conduct," he said. "The offence came about because of quite deliberate conduct, which did not take place on the spur of the moment. "Further to that is her conduct five months later when she was breached for a similar offence, namely using the mobile phone for its map feature while driving. "In my opinion those features elevate the prominence of the need for the sentence to better reflect the element of general deterrence." Justice David Boddice agreed the sentence was manifestly inadequate but was reluctant to disturb her pursuit of a life free from crime and criminal influences. "While the residual discretion is being exercised, the conclusion the sentence was manifestly inadequate ensures the sentence imposed at first instance cannot be used as a relevant comparable decision in the future," he said. Hopper killed Taiwanese fruit picker Chen-Chuan Yang and caused grievous bodily harm to Kwan-Jung Wu as she drove along a road near the Elimbah train station in July, 2012.